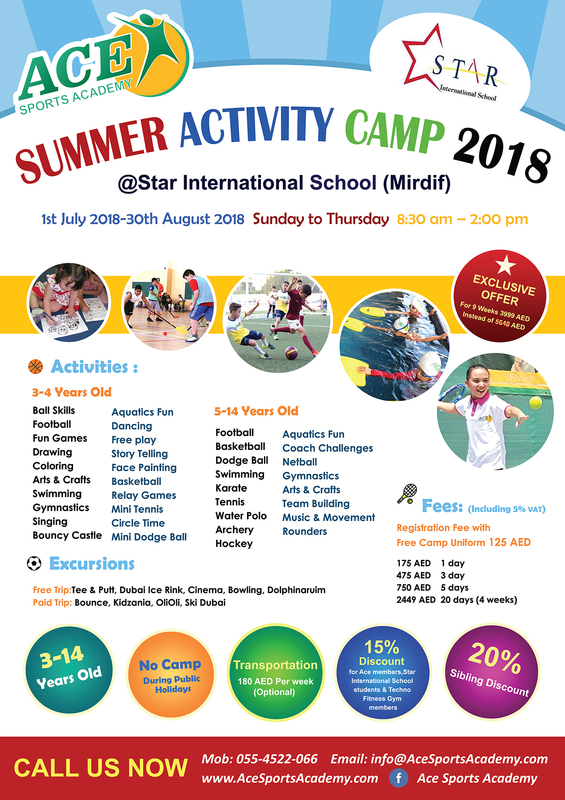 Let your child experience one of the most exciting and fun-filled activity camp this summer as we are pleased to offer Ace Sports Academy Summer Activity Camp to students age ranges from 3 to 14 years old. We promise 4 weeks (From 1st July 2018-30th August 2018 ) of exciting field trips, fun multi-sports activities, happy moments to be remembered, experiences to learn and lasting friendships. 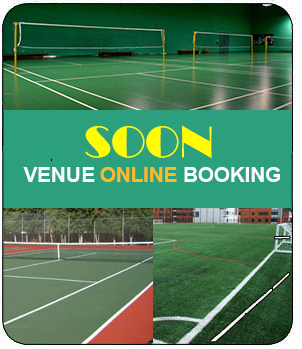 From 1st July 2018-30th August 2018 / Sunday- Thursday Timings : 8:30 am -2:00 pm. (FREE Trip) Tee & Putt, Dubai Ice Rink, Cinema, Bowling, Dolphinaruim. (PAID Trip) Bounce, Kidzania, OliOli, Ski Dubai. 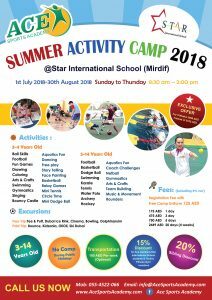 Registration Fee: 125 AED With Free camp uniform. Free play – Story Telling – Face Painting – Basketball – Relay Games – Mini Tennis – Circle Time – Mini Dodge Ball. Football – Basketball – Dodge Ball – Swimming – Karate – Tennis – Water Polo – Archery – Hockey – Aquatics Fun – Coach Challenges -Netball – Gymnastics – Arts & Crafts – Team Building – Music & Movement – Rounders.